When it comes to southern cooking, nothing says Dixie more than grits. We serve up steaming pots of grits with butter and honey, cheese, salt, sugar, tomato gravy, shrimp – it is a versatile dish that only needs your imagination. Grits are not just for breakfast anymore! Corn, one of our country’s most bountiful crops, has always had role on Southern tables. Grits originated from porridge made with stone ground cornmeal by the Native Americans. Recently, I performed a 10 day cruise and learn on a voyage from New Smyrna, Fl. to Charleston, SC. and return. At the Marina Restaurant at Charleston City Marina, I have always loved the grits that they serve. I asked the chef what brand they used and found that a local boutique grit mill made these grits. 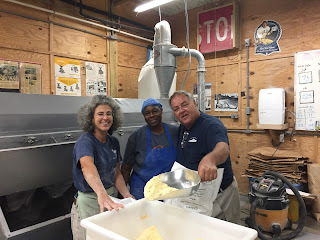 The yacht owners and guests wanted to spend a couple days in Charleston, so I rented car and drove an hour to visit Geechie Boy Mill and Country Store (www.geechieboymill.com) on Edisto Island. 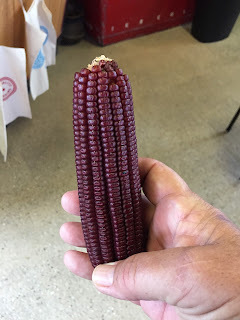 What I found was a family run stone mill that grinds locally grown varieties on white, yellow, red and blue corn. The country store has antique mill equipment and products are for sale or mail order. It was the personal tour of the main mill where I learned how temperature and spacing of the mill stones determines the quality of the end product. 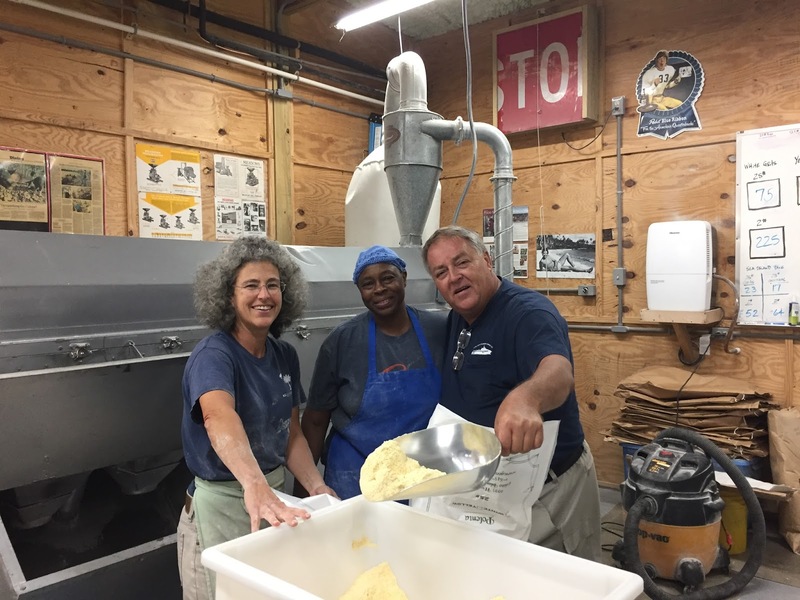 When in Charleston, be sure you make this wonderful side trip to Geechee Boy Mill. 2 - 9 in. (2 c. volume) ready-made pie crusts. Scaled the milk in a medium sauce pan and set aside. Preheat oven to 350°. In a food processor, blend grits and pumpkin until smooth. Add milk and remaining ingredients and blend again until smooth. Pour equal amounts into the pie crusts. Bake for 45-50 minutes until a toothpick inserted into middle of pie comes out clean. Let cool before serving, with whipped cream (optional). Bring 4 c. water, seasoned with salt and butter to a rapid boil. Add grits until water boils again. Lower the heat to simmer, cover and cook (stirring occasionally) for 25 minutes. That’s it!